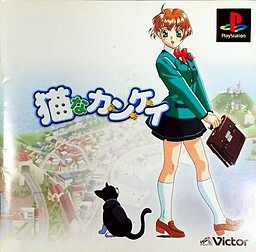 A visual novel adventure game focusing on a player who is a regular high school student who one day stumbles upon a special stone that grants him the ability to turn into a cat at will. Using it for evil things or stopping to use it at all will invite bad luck into his life, so he decides to use for getting to know girls he would be too shy to approach as a regular boy. Which girl wouldn't find a little kitty cute and not want to pet it or hold it close to her breasts. It's a win-win situation for our hero, and he is resolved to put it to best use... for him. The game is split into 10 weeks time and plays as a regular dating simulation visual novel romance adventure.